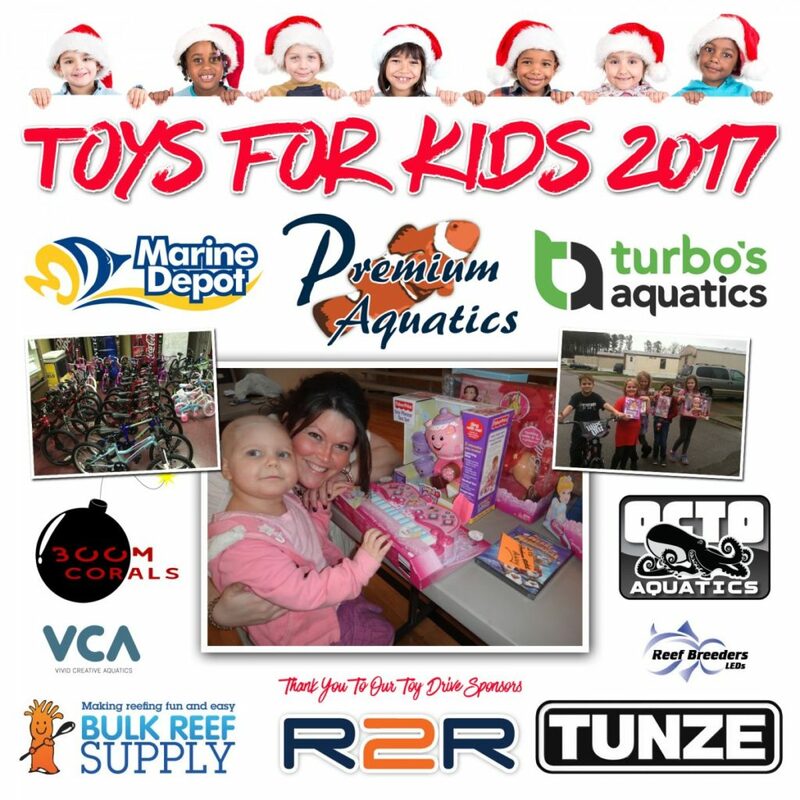 You are at:Home»News»Toys For Kids 2017! The kids win and you could win big as well! Our friend Rev (AKA David Hammond) over at Ree2Reef.com has created a go fund me page for Christmas gifts for kids. Read more about it below. Help us help R2R to reach the goal a of $10,000.00. UPDATE: GOFUNDME will not allow us to mention prizes or tickets so now they are called THANK YOU’S! Your THANK YOU’S will be your prize entry amounts. It’s that time of year for giving and our members at www.reef2reef.com love to give! If you are a seasoned veteran of REEF2REEF then you know we help unfortunate children get gifts, clothing and food at Christmas time. We are able to make sure that all families are in need and that the kids really wouldn’t have much for Christmas otherwise. We are able to buy all the gifts with no taxes because we are a non-profit at the church. That saves us hundreds of dollars every year. We also spend the time marking each gift so that the gifts are not allowed to be taken back to the stores in exchange. Sadly there are parents who would take kids gifts back to the store and use the money for other, less productive things. Hate to have to do that but this is for the kids. Possibly more prizes to come…..